Now we're talking. 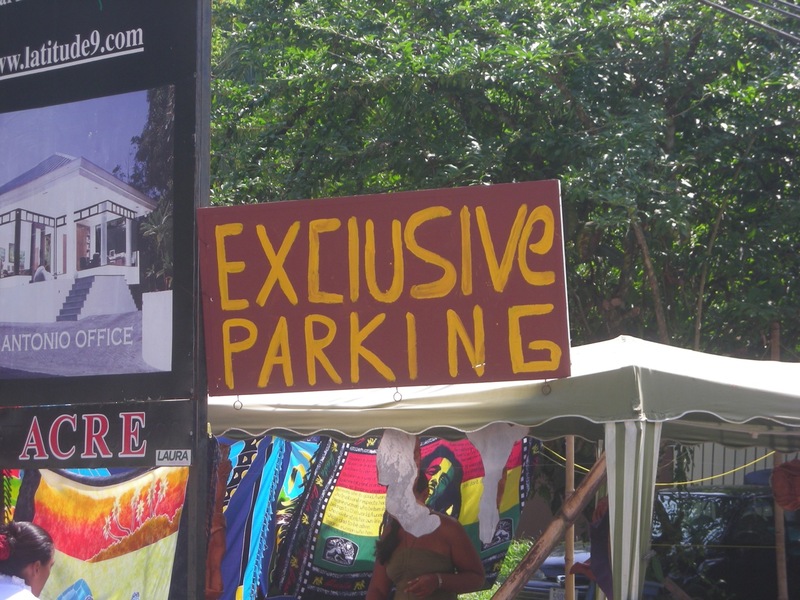 This sign for EXClUSIVe PARKING is a prime example of a misleading lowercase L. Submitted by the Glatfelter Co-op, discovered near Manuel Antonio National Park while on vacation in Costa Rica, the lowercase L is exactly the same height as the uppercase i's and other uppercase letters, making it somewhat confusing to read. Bonus points for the EXClUSIVe lowercase e.
I don't know why people mix their letters like that. I find it to be annoying, confusing, and, most of all, improper. Ha! Bonus points! After all, it does require extra effort to randomly capitalize like that.